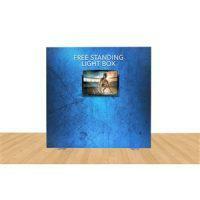 Trade Show Light Box Displays are the new generation of exhibition display systems in the market. These rental trade show booth kits with SEG fabric media are the most popular and best seller backlit exhibit displays for any tradeshows. Our expo booths come in 10ft, 20ft and custom 20×20. Each display stand includes the sleek anodized aluminum frame that is simple to put together, built-in LED strips and backlit tension fabric with easy update graphic, it allows customer to install and exchange the fabric graphics without the pole pockets or crossbars. Our rental light box uses long lasting LED technology to illuminate printed fabric graphic and signs. Light is spread evenly throughout the surface to vibrant the colors on your graphics and make your products more visible. 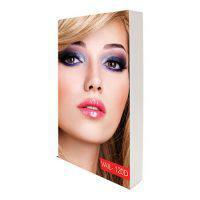 We print using Dye-Sub fabric “Wrinkle-Free” at 1200 dpi to provide vivid colors and attractive graphics. 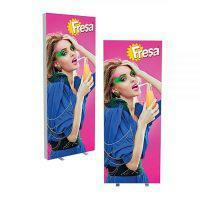 The LED lights are long lasting technology to illuminate printed fabric graphic and brighter than most backlit displays. The LED Light is spread evenly throughout the entire graphic to vibrant the colors and make your products more attractive. 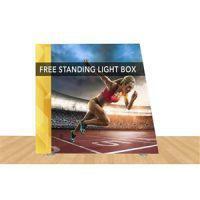 These light box displays are available in sing-sided and double-sided graphics. 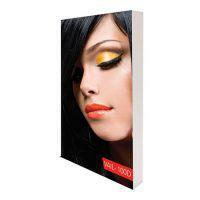 Our 10×10, 10×20 backlit displays are available in custom sizes as well. 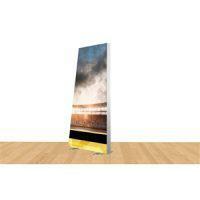 These elegant exhibition display booths are available for purchase as well. These exhibit booths can be set up and take down by one person very simple and fast. Our rental booths can be delivered to: Las Vegas, Chicago, Orlando, Indianapolis, Denver, New Orleans, San Francisco, New York City, Anaheim, Atlanta, Boston, San Diego or anywhere in the US.